Earlier this year, the National Institute for Health and Care Excellence published a quality standard on how best to encourage people in contact with the NHS – whether they are staff, patients, carers or contractors – to be more physically active. While its quality standards are not mandatory, NICE expects them to be used by commissioners, staff, local authorities and others to improve care. Physical inactivity is the fourth largest risk factor for global mortality, and inactivity alone is estimated to cost the NHS £1.06 billion per year, according to NICE. NICE states that increasing physical activity has the potential to improve physical and mental health, reduce all-cause mortality, improve life expectancy and significantly ease the prevalence of chronic disease. The quality standard – Physical activity: encouraging activity in all people in contact with the NHS (QS84) – sets out seven statements (see box). These range from introducing a tool such as the general practice physical activity questionnaire to assess physical activity among adults visiting GP practices, to having someone who will actively promote walking or cycling to work in every NHS organisation. 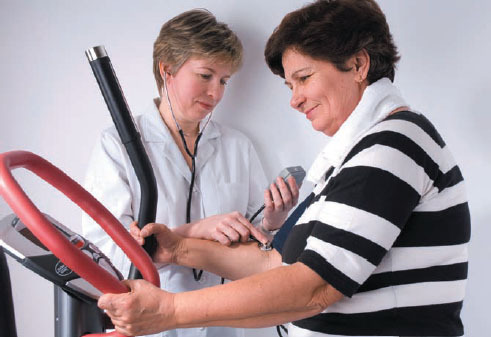 Adults in contact with primary care have physical activity levels assessed. Raise awareness of UK physical activity guidelines among parents and carers of children. Training for health care workers involved in behaviour change on encouraging activity. NHS organisations have policies to support employees to be more active. A travel champion in all NHS organisations to promote active holidays. On staff training, the document says commissioners should buy services from providers that train staff in the skills needed to ‘encourage and influence people to be more physically active’. It suggests healthcare providers source data from staff records on the proportion of staff trained in behaviour change, and says that commissioners could specify training levels in contracts. Ms Everton finds that in her experience, people are most receptive to behaviour change when there is a threat to their health. ‘People need a reason to do it,’ she says.